HSRT and MFG conducted the second business model workshop with VK Sindelfingen gGmbH – an SME in the health care sector. 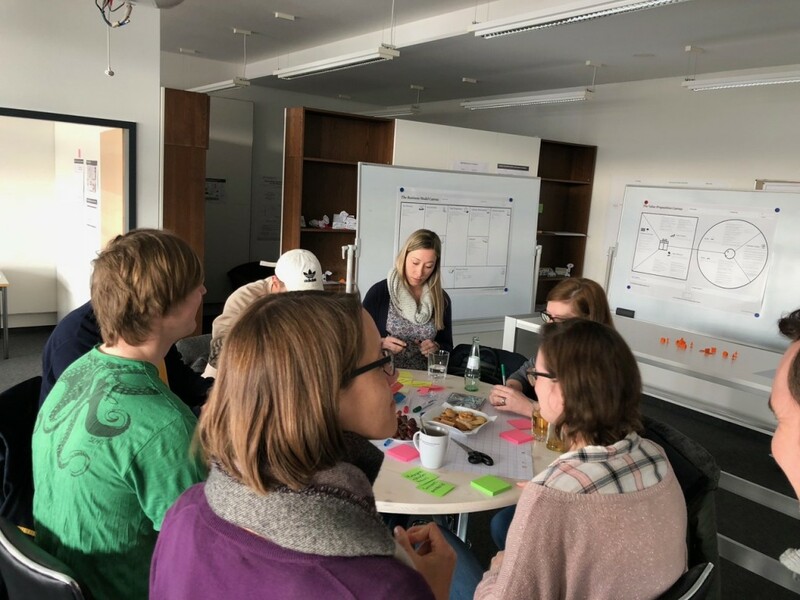 The workshop took place in the regional incubator created at Herman Hollerith Centre in Böblingen (Germany / HSRT). Being specialised in supporting and promoting people with disabilities by providing several assistance and education services, the SME focuses on raising the self-determination of its outpatients. The agenda for the workshop was to find innovations in the area of assisted living to increase the independence of disabled people. During the introductive phase, the participants identified and discussed their sectoral environment including stakeholders like customers, (potential) partners and competitors as well as technological trends or law regulations influencing their value proposition. 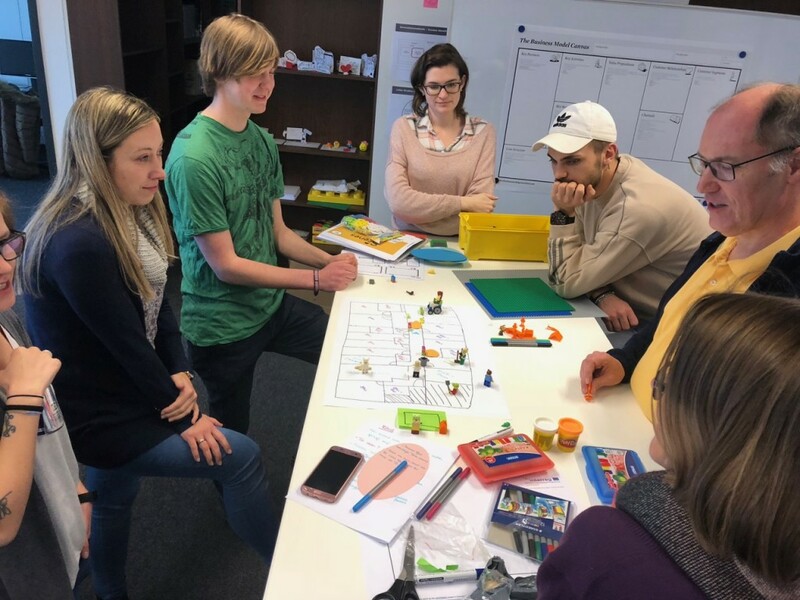 The diversity within the participants group helped the ideation and resulted in a great variety of ideas and concepts and led to a flourishing discussion. 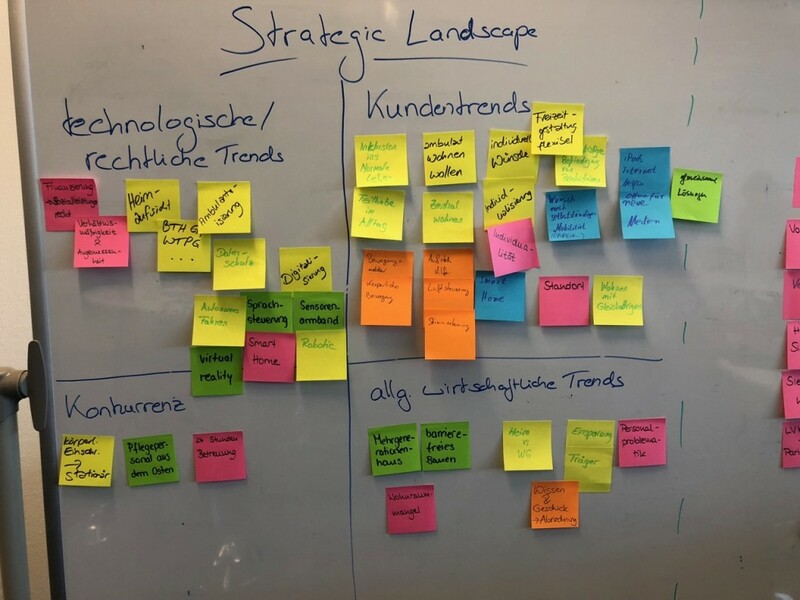 During the iterative DIGITRANS method process, the chances arising from new technologies were weighed against law regulations – partially suppressing the ideation progress. From the technological perspective, the chances and potential issues of the Internet of Things (IoT) were evaluated, resulting in an assisted-living concept prototype for people in wheelchairs based on sensor technologies. 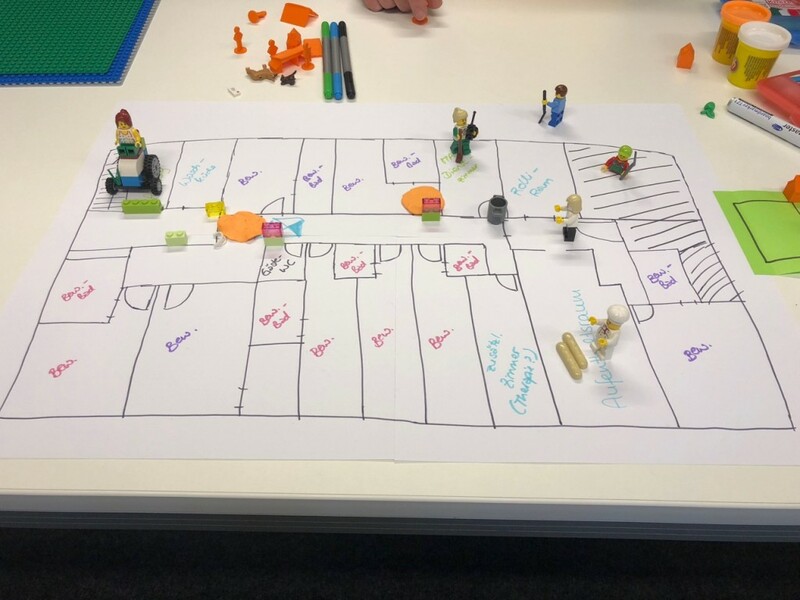 All kinds of handicraft materials were used in the prototyping phase – including SAP scenes, LEGO and modelling clay.